Providing you the best range of digital ph meter, dissolved oxygen analyzer, digital portable refractometers, finnpipette, digital thermo hygrometer and digital d.o.meter with effective & timely delivery. Comprising Of : Automatic Temperature Compensator ,Instruction Manual,Guarantee card, Dust Cover, Mains cord, Combination Electrode ,Electrode stand with clamp , Buffers of pH4 pH7 ,KCL . Relative Humidity : 5% to 90% Non-condensing. 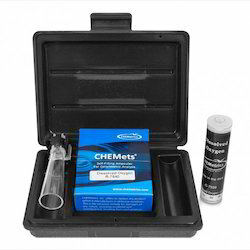 Dissolved oxygen analysis measures the amount of gaseous oxygen (O2) dissolved in an aqueous solution. Oxygen gets into water by diffusion from the surrounding air, by aeration (rapid movement), and as a waste product of photosynthesis. 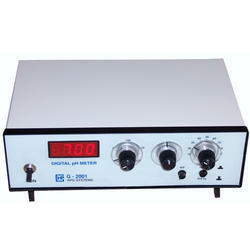 Spectra lab’s DO Meter is the most advanced DO Meter in its class. Its operation is microcontroller based which enables hassle free operation through keyboard with precise and reproducible results. Its auto logging facility helps to monitor DO at predefined time intervals. Manual logging mode along with temperature compensation is among the key features of Spectra lab’s DO Meter. Above all it’s a compact table top unit, user friendly and comes with a Battery Back up so that DO measurements can also be done at the site where there is no power supply. The results of the same with Sample No, Sample Name and Location can be stored in the DO Meter with its Data storage facility and the same can be transferred to PC as and when required through its PC interface. All these Qualities have placed Spectra lab in the list of most renowned DO Meter Manufacturers and Suppliers. Logging interval : 1 to 999 minutes. PC Interface : RS 232 Comm. Power Supply : 230V ±10% AC, 50 Hz OR +9V,4Ah Rechargeable Battery. Accuracy : 0.5 ppm ± 1 digit. Thermo scientific finnpipette is F3 an innovative pipette corresponding to the high standards of accuracy and pricision as expected by our customers. Features : * Adavanc volume Gearing (AVG) -a self supportive modular volume adjustment mechanism for high accuracy and precision. * The adcanced precision click volume adjustment enables upto 50 clicks per revolution. * Double action pipetting hat with rotating upper part for smooth and sturdy popetting action. * No Septet locking required of existed volume. * Separate volume setting mechanism from the popette full increases its durability and reduces thermal conductivity. * Fine adjustment ruler to enhance precision and accuracy of the pipette. *Improved supportive finger rest, * Fully Autoclavable, Also aviable model, F3 Finnpipette Variable Volume, F3 Finnpipette Fixed Volume, F2 Finnpipette Fixed Volume....Single Channel, F2 Finnpipette Variable Volume...Single Channel, F2 Finnpipette Variable Volume...Multichannel,F1 Finnpipette Variable/Fixed Volume …Single Channel/Multichannel. 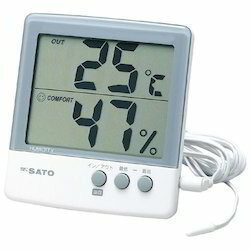 We present to our clients a superior quality range of Thermo Hygrometer, which is made utilizing finest quality raw material with latest technology at the vendors’ end. Digital Thermo-Hygrometer offered by us is a compact, portable and versatile hygrometer that monitors, Relative humidity. The built-in thin-film capacitance sensor of this product assures accurate humidity measurements from 5 to 95% RH with a resolution of 0.1%. With clock with probe ( In and Out ) Temp. & Humidity big Display. 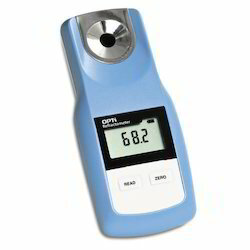 We provide diverse range of Dissolved Oxygen Meters. 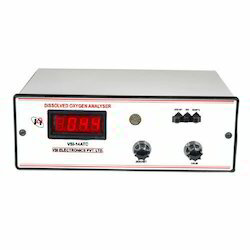 These are metering devices with LCD display screen and can be operated with AC/DC power supply. A Dissolved Oxygen(D.O.) Meter is used for precise measurement of dissolved oxygen contents in drinking and sewage water. Our range of DO meters are widely used in water treatment plants, pharmaceutical and food procssing units due to features like precision designs, quick display and accurate display. D.O.Meter LUTRON TAIWAN, Model DO-5509 with ATC, Range : 0.0 to 20.0 mg/l. 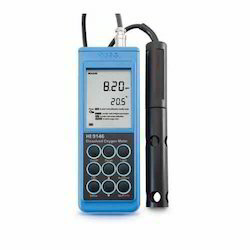 Looking for Dissolved Oxygen Meters ?